This may seem obvious but redundancy in bug out bag gear doesn’t always mean having two of something. It’s closer to the old saying, “There’s more than one way to skin a cat.” Redundancy in survival gear means having more than one way to cover a basic function. For example, some kind of stove can do the cooking, such as a backpacker’s butane stove. You can also cook over an open fire. The trick is that either way you also need an appropriate cooking pot. That’s the key to redundancy; you need to have all the pieces that can be used to achieve the same effect in different ways. If you know your movies, the classic example of improvised redundancy was in “Apollo 13,” where NASA figured out how to replace the function of the broken carbon dioxide scrubbers by building something with a pile of everyday items found in the space capsule (socks, duct tape and the like). That kind of redundancy is a little extreme, but it saved the astronaut’s lives. Redundancy in bug out bag gear can do the same for the survivalist. This doesn’t mean you fill the bags with a lot of miscellaneous gear, just for the odd case where it can be repurposed into something vital. It’s better to look at your survival gear and figure out some redundancies ahead of time – and stock your bag accordingly. That’s why many of the bobs at Survivalist 101 have combinations like this: emergency tube tent, poncho and a Mylar sheet. Singly or together, these can make a shelter. They won’t make a palace, of course, but they could save your life in bad weather. They are also substitutes, so that if one is damaged, say a campfire fire burns holes in the tube tent, the poncho and/or Mylar sheet can be pressed into service to provide rudimentary shelter. That’s what redundancy is about. While redundancy is important for survival, in bags or otherwise, there’s a price to pay – bulk and weight. Truly redundant items take up more space and add weight, which if they’re not used, are an ‘overhead,’ an extra burden. Knowing that should lead to two things: Selecting redundant gear only for critical functions, and attempting to find redundant gear with multiple uses. The bug out bag gear that you really need to stay alive is water to drink, food, and protection from the weather. Foods are the easiest to make redundant, just have plenty of reliably packaged survival foods (mainly dehydrated) and your food redundancy is covered. Shelter is a bit more complicated. Much depends on the climate and terrain where you expect to bug out. Obviously if you have to hit the road in winter, the shelter requirement goes up several notches. The thing is, what’s clearly most important in winter is staying warm. That means out of the wind and with enough layers to retain body heat. This doesn’t have to be a well-defined shelter; a sleeping bag with a windproof cover will do the trick, since moisture is not an immediate problem in winter. There are several ways to have redundancy for warmth – layers of clothing, blankets, sleeping bag, reflective (Mylar) sheet, most of which could be used for other purposes. Protection from rain is even more complicated. Wind, rain and low temperatures are in many ways the most dangerous conditions. Most cases of hypothermia occur in above freezing temperatures, where wind and rain (moisture penetration) combine to chill the core body temperature. In truly wet, cold climates, the only effective shelter is a fully enclosing tent. All other substitutes might prevent rain from penetrating for a while, but won’t provide protection for very long. Redundancy in these conditions is limited. Redundancy in drinking water comes in two forms – carried water and the ability to find water in the surroundings. Carrying water adds weight, a lot of weight, so having enough water for the climate and terrain may need some intelligent estimation. It also needs to be stored in a way so that the loss of one water container isn’t a disaster. For example, if you have a pack with a built-in water bladder, it’s important to have other containers of water, just in case that main bladder is punctured or has leaks. Water availability in the environment depends on climate and terrain, but the constant is the necessity of ensuring the water won’t make you sick. Water treatment should be redundant, for example, a filter and pump rig, and purification tablets. 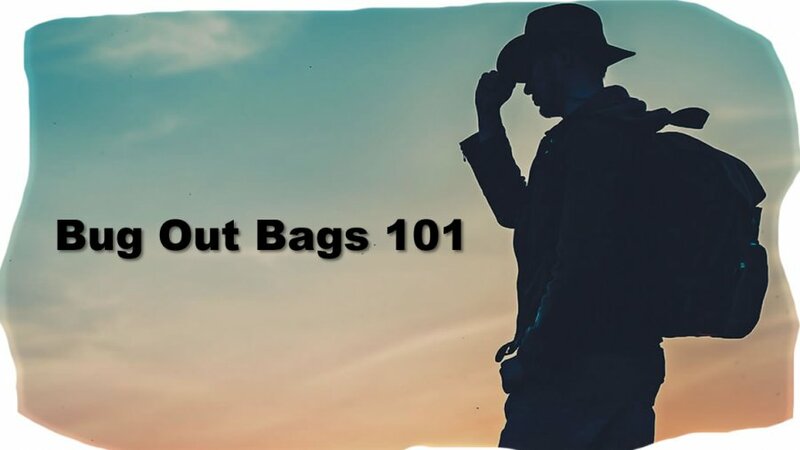 Outside of water, food and shelter there is some other bug out bag gear that needs to be redundant as well. Matches, of course, and socks (dry socks) are two examples. With some of these items, redundancy means literally having multiple copies. It should also mean having them packaged and distributed in the pack (and your clothing) so that if one container is damaged or wet, other containers will remain intact. As mentioned, sometimes redundancy can be fashioned from odd pieces, which is a variation on the old saw, “Necessity is the mother of invention.” However, invention requires imagination and having some things that make assembling stuff possible. This means, rope, string, tape (probably duct tape), bungee cords, plastic bags, rubber bands, and glues need to be available not only to patch things, but also to put things together. Again, the supply of these items will have to be limited, but every bug out bag should have a collection that will help repair or build critical bug out bag gear. When it comes to redundancy, having space for redundant items may be one of the greatest difficulties. It’s important to think of storage spaces outside the bob – in clothing and things hung on the outside of the pack. The need for some redundant functionality in every bug out bag should be obvious; however achieving the redundancy without overloading isn’t automatic. It takes thought and planning – and ultimately a good sense of imagination for using stuff to solve problems.